Botox and Dermal Fillers treatments are the most commonly performed minimally invasive cosmetic procedure in North America. 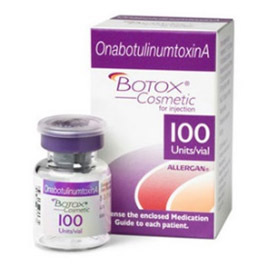 Botox is a trade name for botulinum toxin, which comes in the form of a purified protein. The mechanism of action for botulinum toxin A is quite simple. It is injected into the facial muscles and, within a few hours, it attaches itself to the nerve endings of the motor muscles, thereby affecting the nerve transmission to these muscles. It takes anywhere from two to ten days to block the nerve transmitters which innervate the muscles where it was injected. Once these motor nerve endings are interrupted, the muscles cannot contract. When the muscle does not contract, the dynamic motion that causes wrinkles in the skin will then cease. Dermal fillers are a naturally-derived or synthetic material that is directly injected into skin with the purpose of plumping that area to the point where the wrinkle, depression, or fold is gone. Depending on the type of filler, the effects can last anywhere from six months to two years; for semi-permanent or permanent fillers, the effects can last up to five years, and there are reports of even longer-lasting results. 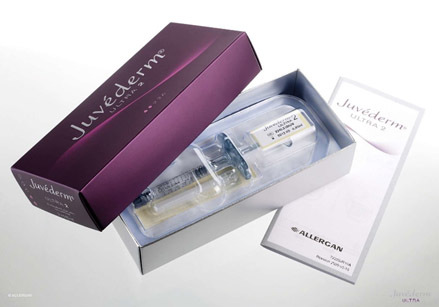 Juvederm, Restylane, Radiesse, Belotero Balance are some of the most popular used Dermal fillers. There is no question that Botox and dermal fillers are well-known for the aesthetic results they deliver in terms of smoothing wrinkles and replacing lost volume in the face, especially the oral and peri-oral areas. 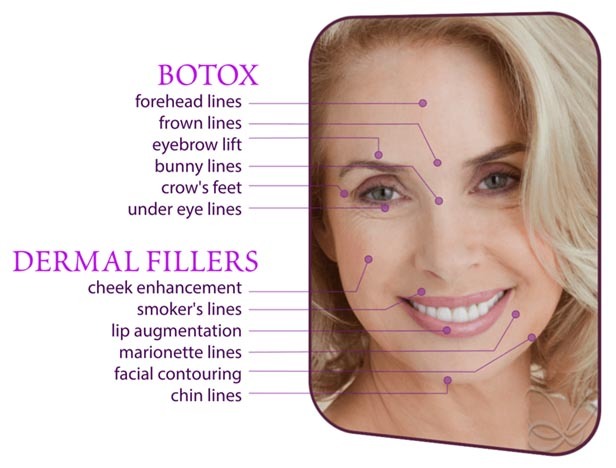 Botox is essentially a muscle relaxer and dermal fillers, are volumizers or plumpers. Reducing muscle hyperactivitiy for retention of removable prosthodontics etc. Re-establishing lip volume for proper phonetics (in addition or as opposed to teeth lengthening with fixed or removable prosthodontics) etc.